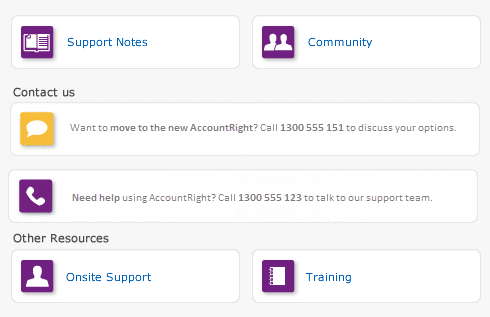 When you install the latest version of AccountRight, the MYOB ODBC Direct version that is compatible with your software version is installed automatically. However, if you performed a custom installation or uninstalled MYOB ODBC Direct, you need to reinstall it before you can use M-Powered Import Assist. If your computer only allows people with administrator privileges to install programs, log in as an administrator. Save any files you are using and close all open programs. Go to the Windows start menu and choose All Programs. Choose your MYOB software folder from the list (for example, AccountRight Premier v19) and then choose MYOB Tools. Install MYOB ODBC Direct v10. Follow the onscreen installation instructions to complete the installation. Note that you will need to update the ODBC driver information in any other application that uses ODBC Direct to integrate with your MYOB software. Contact your third-party application provider for more information about updating this information.